Experienced Bankruptcy Attorney - Denver & Castle Rock - Jon B. Clarke, P.C. The Law Office of Jon B. Clarke, P.C., was established in 1992. Before that time, attorney Jon B. Clarke was a shareholder and director of Clarke & Waggener, P.C. — a downtown Denver law firm founded in 1966 — which moved to Denver Tech Center offices in 1983. Now a leading Castle Rock bankruptcy attorney, Jon brings dedication and extensive experience to each case. Mr. Clarke is a second generation Castle Rock bankruptcy attorney with more than 35 years of experience. In 2006, attorney Clarke was named a top attorney in Colorado’s SuperLawyer magazine, one of only a few consumer bankruptcy lawyers to achieve this distinction. Today, Castle Rock bankruptcy attorney Jon Clarke focuses his practice on the area of insolvency, particularly in Chapter 7 and Chapter 11 bankruptcy. He and his support staff can efficiently handle your bankruptcy case, answering your questions and addressing concerns involving the protection of your assets and the long-term effects of a bankruptcy filing. Mr. Clarke is prepared to handle any level of complexity an insolvent individual or business debtor may bring to him. Currently, Mr. Clarke does not represent Chapter 13 individual regular-income debtors, but he can give you names of Denver’s most experienced bankruptcy attorneys in your area who do. Your first step toward debt relief is to complete the business, consumer debtor analysis form, so we can determine whether you are an individual debtor. If so, Castle Rock bankruptcy attorney Clarke will determine if your debts are primarily business or consumer in nature. 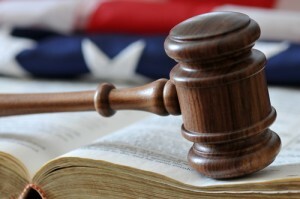 We will then contact you to discuss the type of attorney-client relationship that can then follow. Mr. Clarke’s procedure for accepting clients is described on our law firm’s Becoming a Client and Debt Relief Agency pages. His extensive experience and devotion to this area of law allowed him to create an efficient, web-based procedure that reduces the number of times clients have to make office visits. Some very complex cases may require additional office meetings. The Bankruptcy Abuse Prevention and Consumer Protection Act of 2005 — which applies to all cases filed after Oct. 16, 2005 — imposes extensive and stringent disclosure requirements on entities providing bankruptcy assistance to prospective clients. The act necessitates fundamental changes in client marketing, client intake, client consultation, as well as obtaining client information, conducting pre-bankruptcy analysis and culminating in the filing of a Chapter 7, 11, or 13 bankruptcy petition. At the Castle Rock Law Office of Jon B. Clarke, we focus on acquainting you with the disclosures and notices legally required before we can give meaningful, personalized advice about your unique situation. Castle Rock bankruptcy attorney Jon B. Clarke is committed to helping you obtain a fresh start with mortgage, car loan, personal guaranty, credit card and other debt relief. To get started, please complete our Business or Consumer Debtor Analysis form. Education: University of Northern Colorado B.A., 2005; University of Denver, Sturm College of Law, J.D., 2010; Peer Rated “A” for Legal Ability and Ethics; Super Lawyer “Rising Star” 2016. Practice Areas: Business Bankruptcy Litigation; Private Debt Workouts. Practice Areas: Consumer Bankruptcy; Business Bankruptcy; Private Debt Workouts. PHYLLIS BARRETT, Legal Assistant, 1979 to date. JANIE REIVER, Denver Office Manager, 1992 to date.